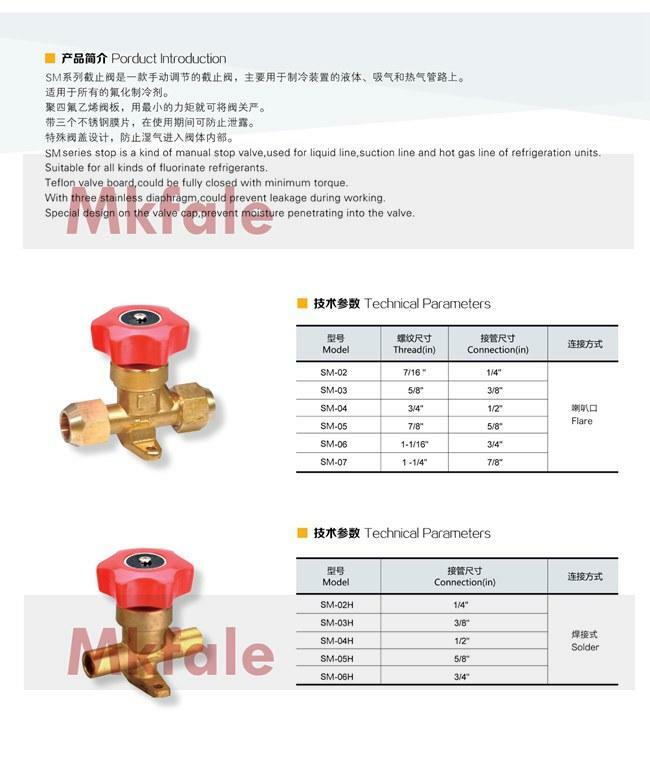 1/4 " , 3/8 " , 1/2 " , 5/8 " , 3/4 " , 7/8 "
7/16 " , 5/8 " , 3/4 " , 7/8 " , 1-1/16 " , 1-1/4 "
SM series stop is a kind of manual stop valve,used for liquid l ine,suction line and hot gas line of refrigeration units. 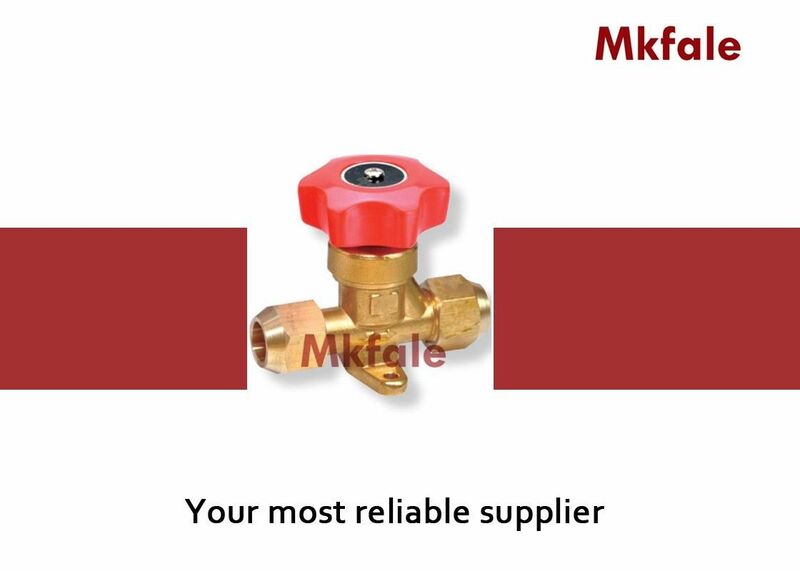 Suitable for all kinds of fluorinate refrigerants. Teflon valve board,could be fully closed with minimum torque. With three stainless diaphragm,could prevent leakage during wor king. Special design on the valve cap,prevent moisture penetrating in to the valve. Port Size: 1/4 " , 3/8 " ,1/2 " , 5/8 " , 3/4 "